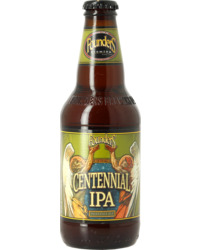 Founders Centennial IPA - Now in a Can! 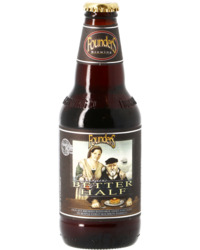 Another highly popular brewery with craft beer fans and artisan ale enthusiasts, the story of Founders Brewing Company takes place over more than 20 years. 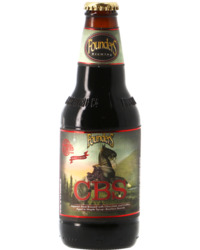 Michigan's Founders Brewing is a real against-the-odds success story. 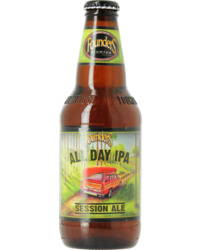 Like so many Craft Breweries, the founders of Founders, Dave Engbers and Mike Stevens quit their day-jobs to follow the dream of brewing full-time. However, it wasn't easy! Despite brewing great beer, by their own admission it was uninspiring Craft Beer and supply still exceeded demand until they decided to rethink their business model and go back to basics. They started brewing beer they wanted to drink – big, ballsy, in-your-face beers. It was a move that changed company's fortunes and catapulted them to their superstar status as the world-renowned, award-winning brewery we know today, occupying a place in Ratebeer's Top 100 breweries worldwide for an incredible 9 years running! 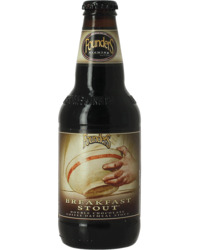 Founders have built their reputation on sumptuous, velvety-smooth beers - Stouts and Porters - and their most famous beer Breakfast Stout is a classic. 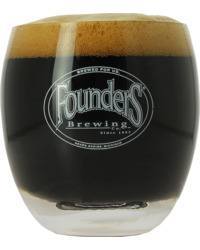 This slick, velvety Double Chocolate Coffee Oatmeal Stout is brewed with locally-sourced fresh-roast coffee, and if it wasn’t smooth and coffee rich enough, they barrel aged it in Kentucky Bourbon Whisky Casks to create the awseome KBS Kentucky Breakfast Stout, and its little bro CBS – Canadian Breakfast Stout aged in Canadian maple syrup casks!